Welcome to the website of NACE-Jubail. It is a local section of the West Asia and Africa Region Chapter of the National Association of Corrosion Engineers (NACE) International. 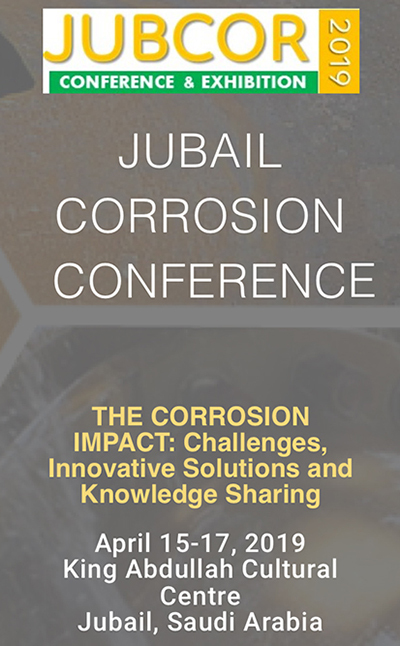 NACE-Jubail was established in July 2008 to promote the awareness of corrosion and its control for industries in Al-Jubail and its extended adjoining area of Saudi Arabia. Al-Jubail area is the industrial heart of the Arabian Gulf; the area has the highest concentrations of world scale petrochemical, chemical, fertilizer, refinery, steel and mineral industries; as well as oil and gas operations, power and desalination plants, etc. Venue : Intercontinental Hotel Al-Jubail, Kingdom of Saudi Arabia. @ Copyright 2000-2008 NACE Jubail - Saudi Arabia, All rights reserved.